WIC and Nutritional Programs from the Graves County Health Department in Mayfield Kentucky: Providing clinical services, health information, public inspections and information, WIC and Nutrional Programs and More! The WIC program (Special Supplemental Nutrition Program for Women, Infants and Children) is available at Graves County Health Department. The Special Supplemental Nutrition Program for Women, Infants and Children (WIC) is a short-term intervention program designed to influence lifetime nutrition and health behavior in high-risk populations. WIC is funded by the United States Department of Agriculture. The main goal of the WIC program is to protect or improve the health/nutritional status of low-income women, infants, and children. WIC provides nutrition education and services, breastfeeding promotion/education, a monthly food prescription of nutritious foods, and access to maternal, prenatal, and pediatric health care services. If you are pregnant, recently had a baby, are breastfeeding or have a child younger than 5 years of age, the WIC program may be available to you if you meet the eligibility criteria. For more information about the WIC program and its eligibility criteria, please click here or call your local health department. Learn more about the WIC Farmer's Market Program! Graves County Health Department offers Medical Nutrition Therapy or MNT. MNT can only be provided by a registered dietitian, licensed dietitian, or certified nutritionist. MNT is comprised of an assessment of your current nutritional health status and provision of individualized diet and activity plans. If you would like more information or would like to make an appointment for Medical Nutrition Therapy, please contact our Health Department. 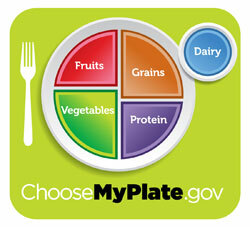 Learn more about My Plate, Nutrition for Everyone and Fruits and Veggies More Matters! Breastfeeding is encouraged as the preferred feeding for all infants, including premature newborns. Breast milk has many benefits for both mother and baby. Breastfed infants have decreased risk of diabetes, asthma, allergies, and ear infections. Our health department supports breastfeeding in a variety of ways. We have a designated breastfeeding promotion coordinator who collaborates with local health care providers and businesses to provide information and support for all demographics of mothers and families. Some examples of information that we provide to the community are attendance at local health fairs, media campaigns, and providing up to date resources for local health care providers. WIC promotes, supports and encourages mothers to breastfeed their babies as it has been shown to provide many health, nutrition, and emotional benefits to both mothers and babies. Currently, more than half of the nation’s infants are on WIC. The WIC program provides pregnant and postpartum women with breastfeeding support and information to make the best informed decisions for their health as well as their new babies.